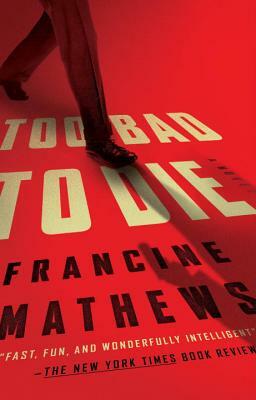 Francine Mathews is the author of Too Bad to Die, Jack 1939 and more than twenty other novels of mystery, history, and suspense. A graduate of Princeton and Stanford, she spent four years as an intelligence analyst at the CIA and presently lives and works in Colorado. "Fast, fun and wonderfully intelligent... this novel [is] wholly worthy of its ingenious subject."